When the Seiken Densetsu Collection, the first three games in the Mana series, was released earlier this month in Japan, it did not come with instruction manuals. So Square Enix has decided to change that by releasing them online. The manuals can be viewed here. As Kotaku previously pointed out, Seiken 3's Super Famicom release came with a 48-page manual, so these are games that need explaining. 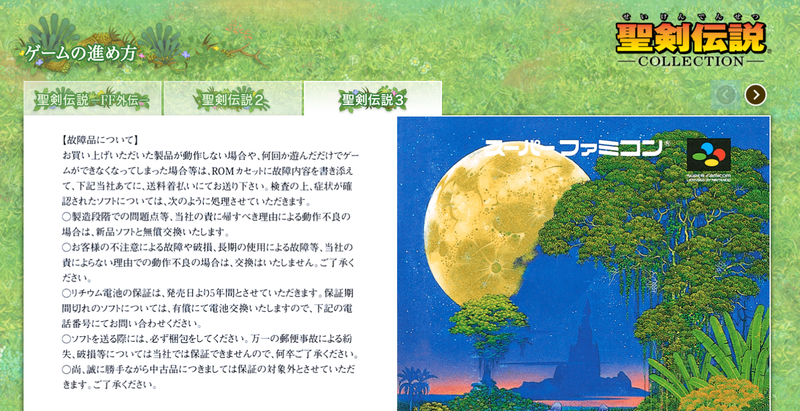 Seiken Densetsu Collection producer Masaru Oyamada apologized for any trouble the lack of in-game explanations caused, adding that players pointed out it was difficult to figure out how to play. According to Oyamada, the original manuals have been temporarily uploaded as is. He asks that players understand that they contain typos. Square Enix is currently preparing an in-game manual, which will take time. Shame Square Enix didn’t release proper paper manuals with the game. But at least they’re now available online, even if they weren’t at launch.